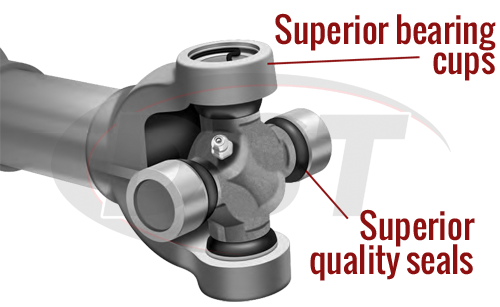 Moog's u-joints are precision-ground to the strictest of tolerances, with quality-control inspection at every step in manufacturing. 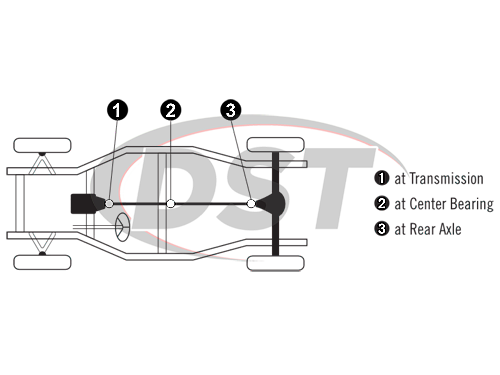 DST would like to introduce you to the ultimate drivetrain addition. 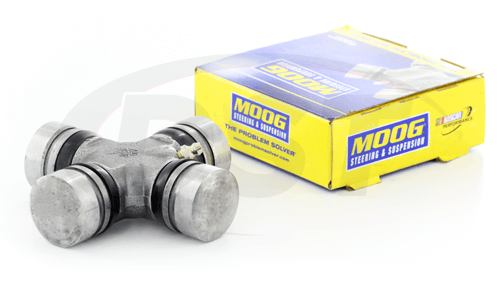 Machined to meet or exceed original equipment standards, Moog premium universal joints are another addition to Moog's total undercar solutions. 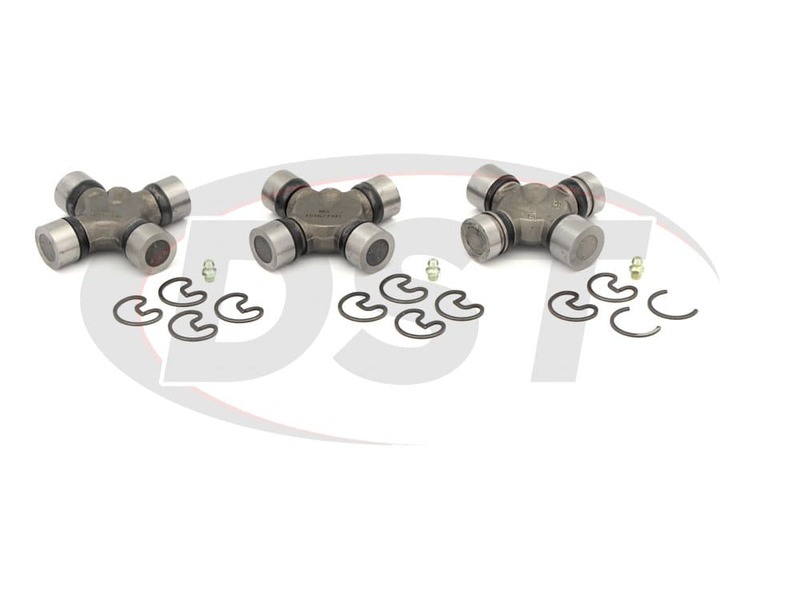 Moog's u-joints are precision-ground to the strictest of tolerances, with quality-control inspection at every step in manufacturing. 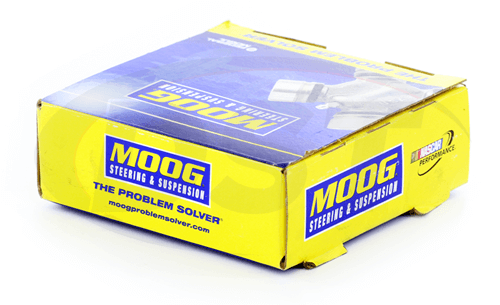 Moog's u-joints feature bearing cups that are cold-formed and case-hardened, providing for better strength and less wear than O.E. 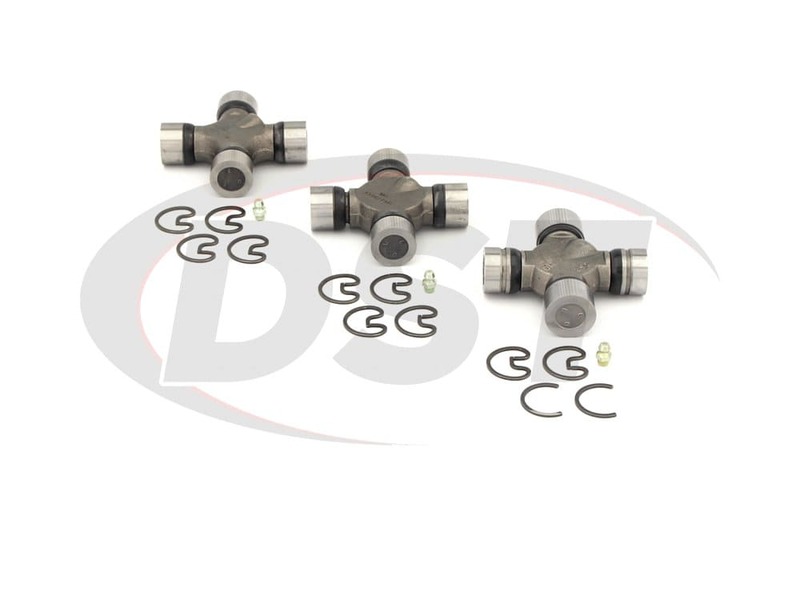 The superior quality seals are charged with keeping harmful road contaminants out and keeping the proper lubrication on the u-joint. 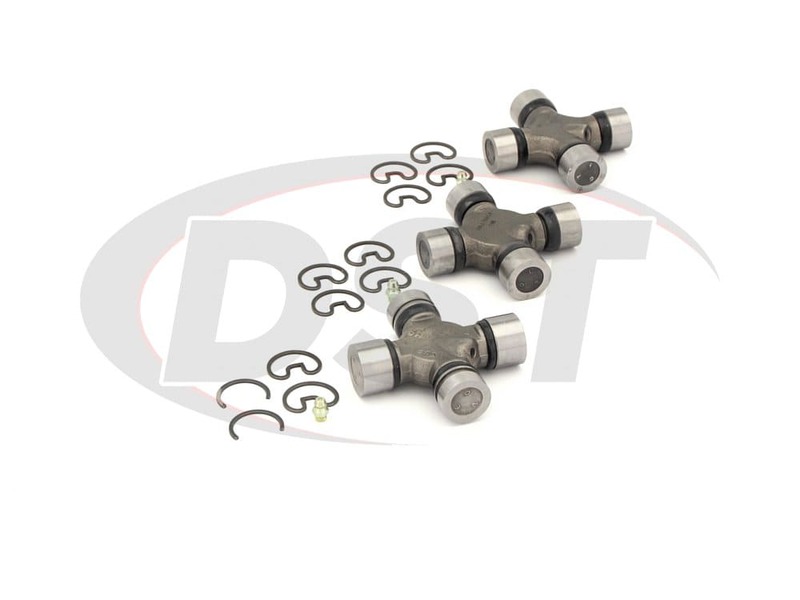 These driveline components are equipped with high strength steel crosses to exceed OE specifications, and are carburized heat-treated to ensure long life. Moog includes a zerk grease fitting in the cross body for easy maintenance. 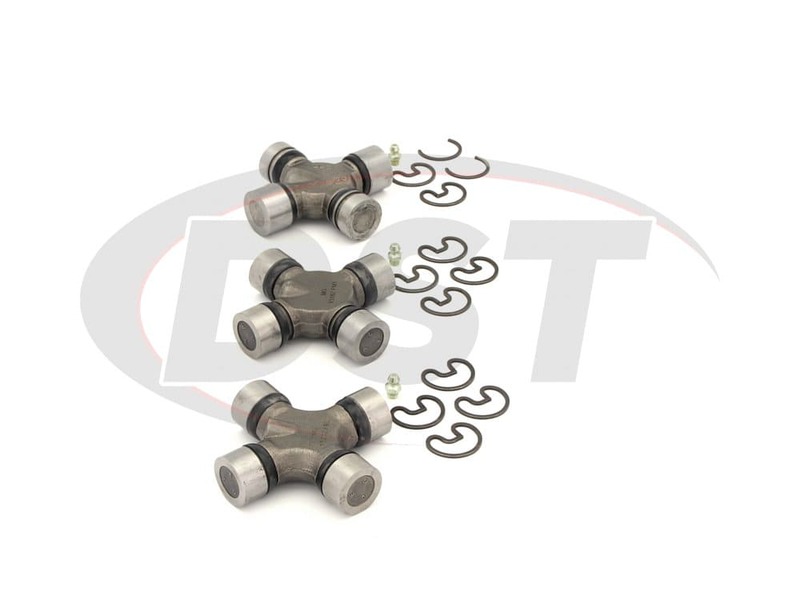 The bearing cups feature a 360 degree radial design to allow even lubricant distribution to the bearing surface. 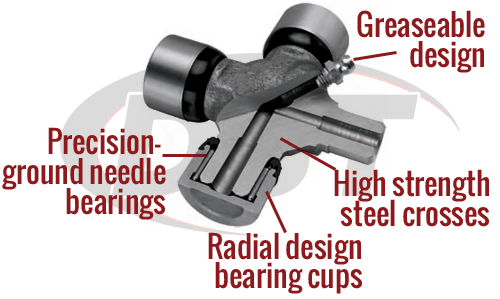 Also featured are needle bearings, providing maximum load-carrying capabilities. 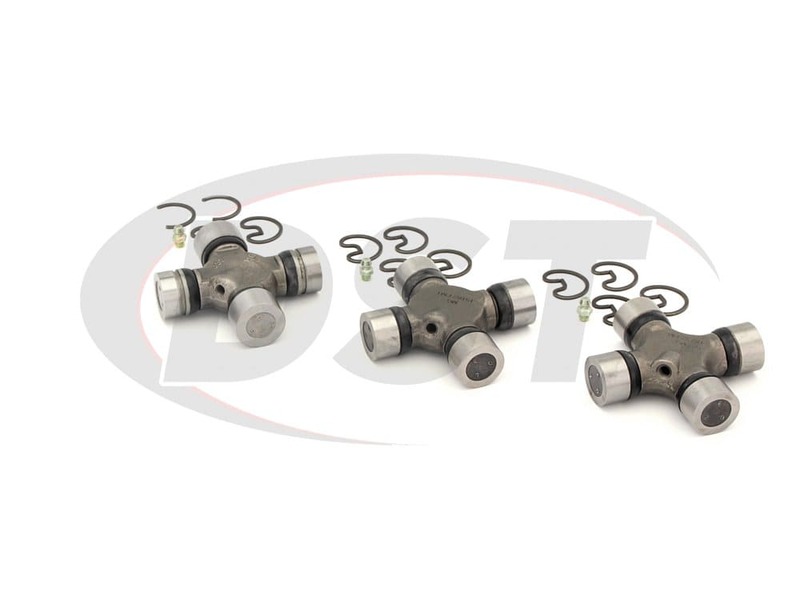 Moog backs their u-joints with a lifetime warranty, which can be handled directly through our DST customer service team.  If you have any other questions be sure to give us a call. How Many Joints do You Have?